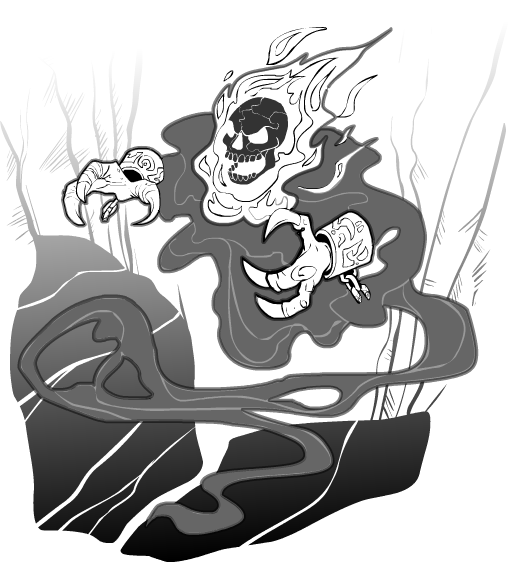 Undead ghosty skull spirit thingie ... kind of an experiment. Would you like flaming skulls with that? Dude, Jiggly, Snorlax is supercool ;). I think you should have also shaded the head and arms in the same coloring. But otherwise it’s a cool Ghost Rider ghost skeleton bird thingie mix!